Ju-Ju-Be "Be All" Diaper Bag Mama Say What?! | Mama Say What?! This diaper bag is one of two that I use. I got it for a pretty good deal on a half-off site, otherwise I would have never forked out the money to pay full price for this bag! Since I am a cloth diapering mom, I tend to look for larger bags as I need the extra room for bringing along cloth diapers. I read some reviews and since it is more the typical shape (rectangular), I wanted this bag in order to be able to more efficiently store things in my diaper bag, and not have everything all smushed up or overflowing. I am easily able to store all of these things in this bag. 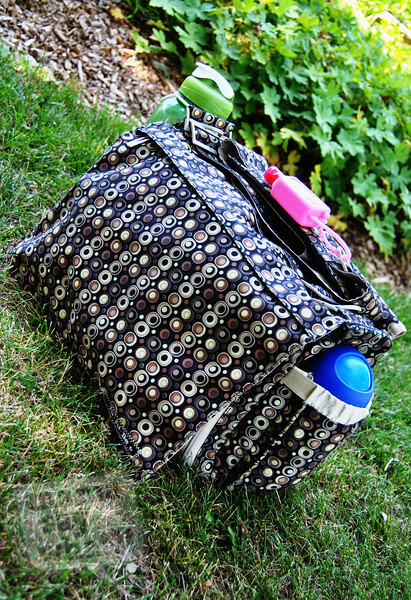 The wonderful thing about this diaper bag is that it has a ton of pockets and lots of places to store my items. The changing pad that comes with it is a nice memory foam, and great for babies. It has an incredibly strong magnet closure in order to ensure the flap stays sealed. I am not 100% happy with the print I got (Champagne Bubbles), but there weren’t many options available on the half-off site I purchased it from. Within a few days of making my diaper bag purchase, I also got the matching “Be Rich” wallet and “Be Quick” diaper bag. If I could go back and change it, I probably would not purchase this item again, and I certainly would never buy it at full retail. It isn’t to say that I am dissatisfied with the item, it is a good diaper bag. I feel that I made a spur of the moment purchase on a “want” and not a “need”. If you are a cloth diapering mama looking for something that will hold your diapers, this will do a decent job. But, I do think there are better options out there. 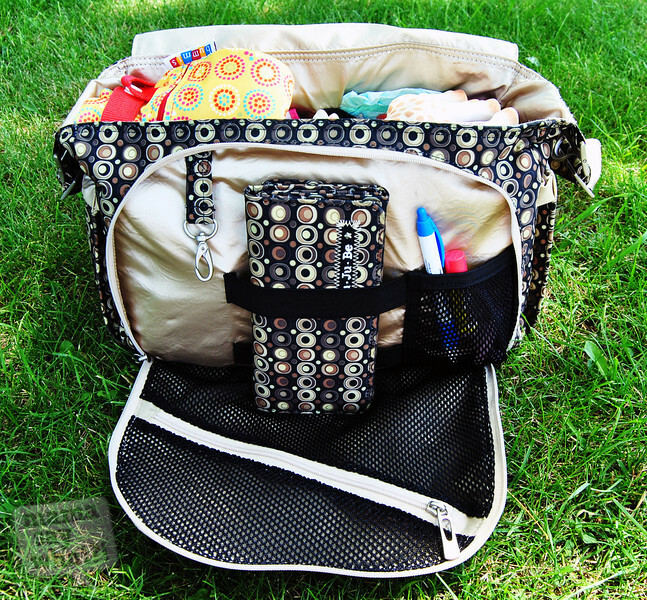 Thirty-One Vary You Backpack Purse Review and Giveaway! Added by Jessica S. on August 15, 2012. Great review! 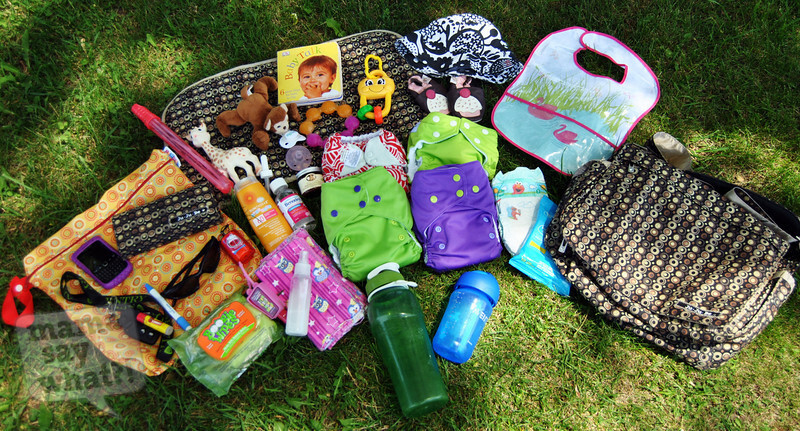 looks like a great diaper bag! haha i thought that print looked like it was from babysteals. i heart babysteals. i don’t have a be all but i have a packabe and a bp which i love. thanks for showing how much you fit in the be all. i could never really tell how big it really was inside. Thanks for such an honest review. Totally awesome that ALL of those items fit! I guess I can’t say from experience that there is a better bag since I only own two. Well, technically I own four and only use two haha! I think for me because I usually have cloth diapers in my diaper bag, I would like something a bit larger. If I only carried disposables it wouldn’t be as big of a deal. The seams are coming apart a bit, I think because I pack the bag so tightly. I need a new bigger bag, may this one is it.